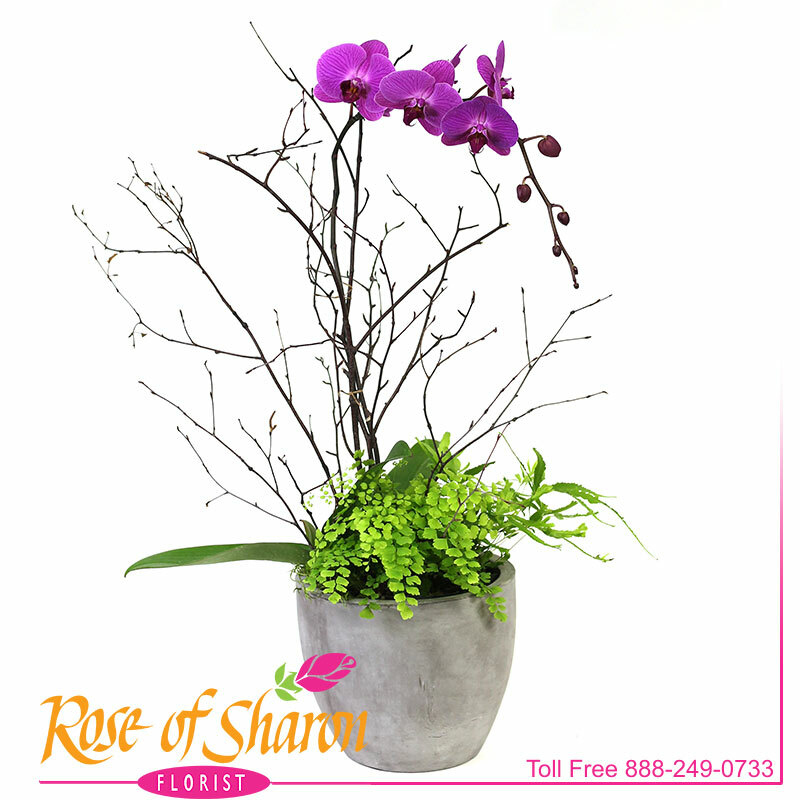 Keane Orchid Garden is a majestic Purple Phalaenopsis Orchid and assorted ferns, arranged in a modern, light concrete pot. 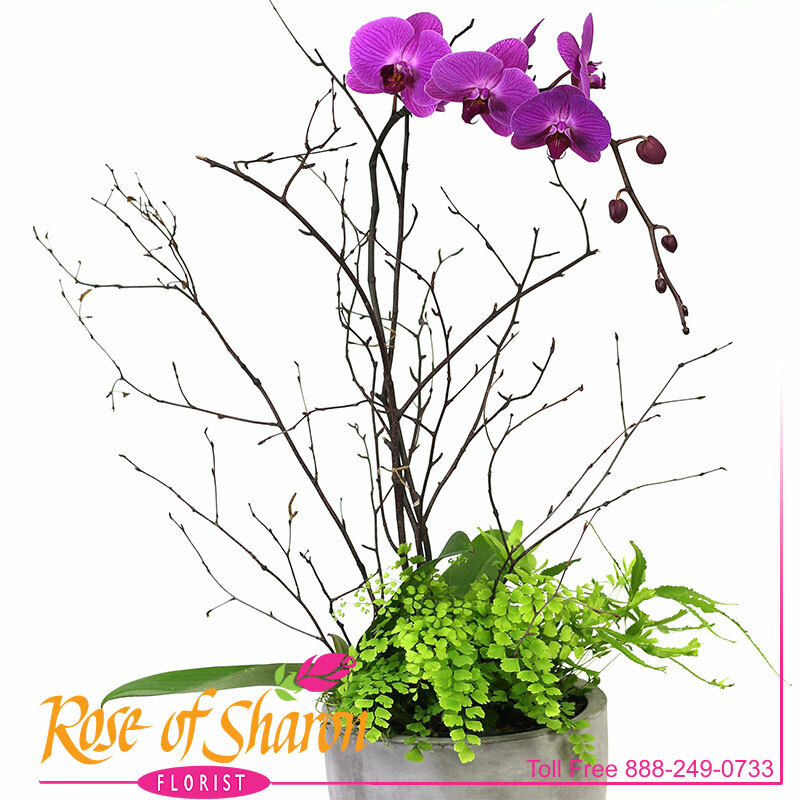 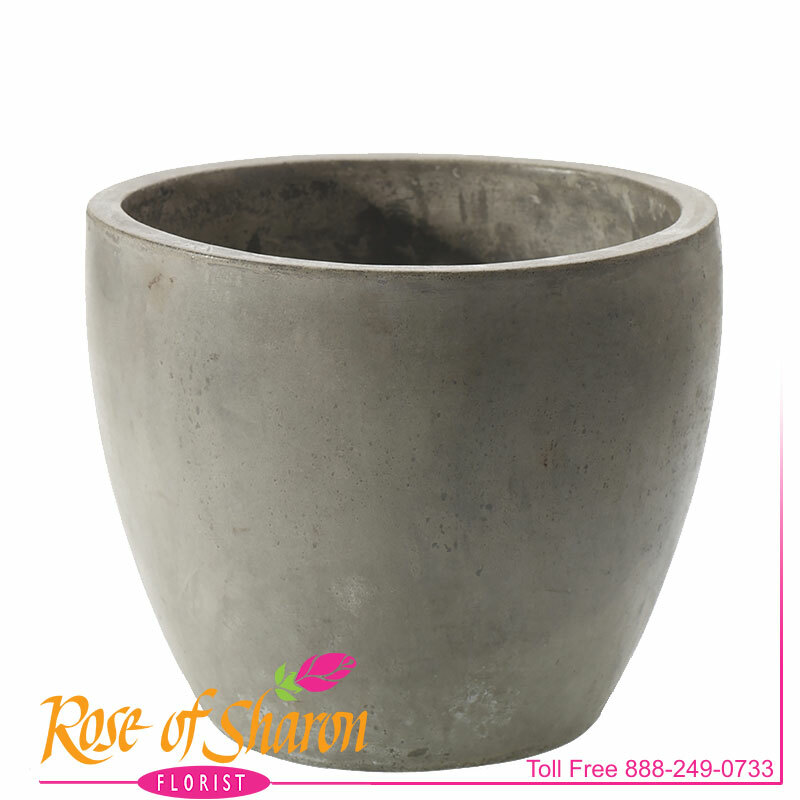 This lavish showpiece is comfortable in a home or office. 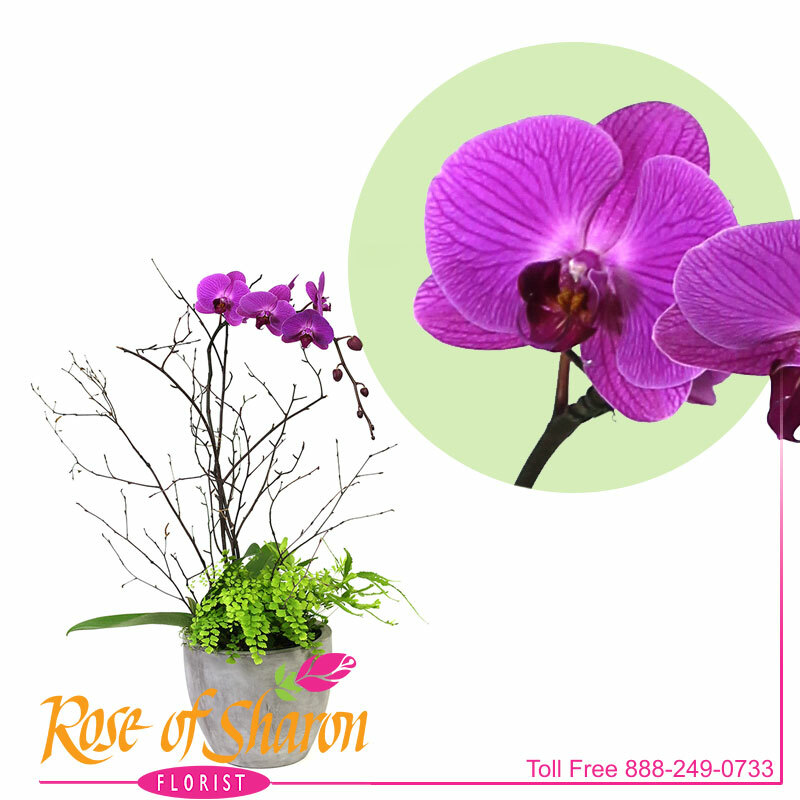 Long-lasting Phalaenopsis orchids arrive in spike as shown and bloom 3 to 4 months and spike annually.